Dr. Sue Anne Bell is a nurse scientist at the University of Michigan, with expertise in emergency preparedness and response, community health, and emergency care. 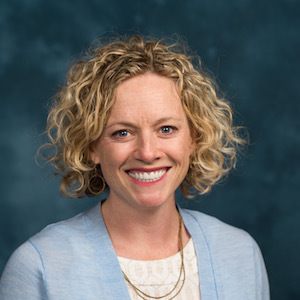 Her work focuses on addressing the long-term health effects of disasters on vulnerable populations, in developing policy that protects and promotes health in disasters, and in the relationship between community resilience, health disparities, and disasters. She currently serves on the US Federal Emergency Management Agency’s National Advisory Council and recently completed a term on the Emergency Nurses Association’s Emergency Preparedness Committee. She is clinically active in disaster response as a nurse practitioner with the US National Disaster Medical System and most recently served in the Hurricane Irma response in Florida and the Hurricane Maria response in Puerto Rico. The repercussions of disasters for older adults can be severe, as the aging population is particularly vulnerable to the effects of a disaster. While the risks to older adults are clear, the diverse mechanisms by which older adults are harmed—or are resilient and recover—remain understudied. In this webinar, Dr. Bell will discuss her research on long-term health effects of disasters on older adults, where a fundamental premise of her work is to use novel methods to understand how disasters affect health outside of the common focus on the immediate after effects, with the aim of building a better disaster response.